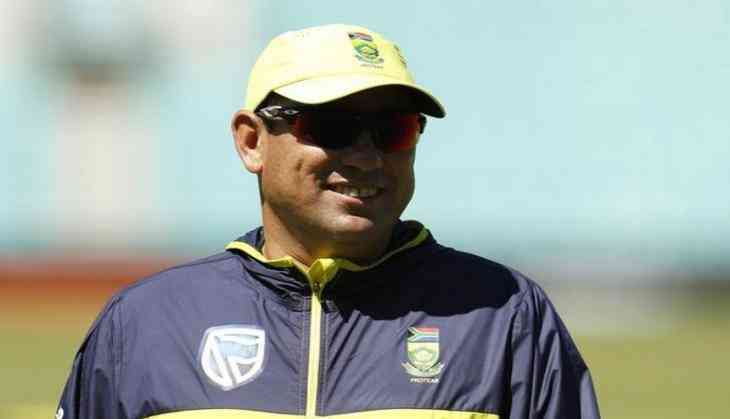 If reports are to be believed, South Africa coach Russell Domingo has until 16 June to reapply for his job. The Proteas were knocked out of the Champions Trophy after India defeated them in a one-sided contest at The Oval in London last Sunday. The Board of Directors of Cricket South Africa (CSA) last month approved the process to appoint the head coach of the Proteas at its meeting in Johannesburg as Domingo's tenure nears end. Domingo has been in the role since May 2013 and his contract is due to expire at the end of the Test tour of England in August. CSA had also asked Domingo that if he wants stay on as coach then he would have to get his CV in order and apply with the rest of them. Sport24 reports that if he wishes to stay as a coach, he needs to reapply for his position and according to Netwerk24, applications for the positions closes on Friday. As per ESPNcricinfo, the 42-year-old has said that he had "not yet" reapplied and "can't say" whether he has plans to take the team to the 2019 World Cup. The cricket board earlier stated that the appointments of the new coach and his management team will "be in place by the beginning of September". Domingo's job had come under fire towards the start of 2016 when South Africa slumped to Test series defeats against India and England and also had a disappointing World T20 campaign. However, the Proteas experienced a revival after few months, notching Test series wins over New Zealand (at home), Australia (away) and Sri Lanka (home) besides whitewashing the Steve Smith-led side in five-match ODI series at home.